What’s the deal with whey? This post aims to clear up the confusion for you. First things first, let’s assume that we all understand that, even though cavemen did not have access to protein powder, that doesn’t mean we CAN’T eat it in our modern world. The whole “eat everything a caveman would” is so mid-2000s, right? That being said, not all protein powders are created equal. And, we don’t advocate for all of the protein in your diet coming from protein powder. It’s always a good rule of thumb to get the majority of your nutrients from real, whole foods. But there are some circumstances where protein powder can be beneficial. If you’re an athlete, or someone who is extremely active, protein powder is an easy way to quickly get protein to your muscles to help the recovery and rebuilding process. Also, we live busy lives. Sometimes it’s not feasible to sit down and eat (at least) three meals every day. If you’re on the go, protein powder can come in handy. Throw it in a blender with lots of spinach, almond milk, some fruit, and nut butter. You have an on-the-go meal that’s nutrient dense, protein-packed, and very sippable. I’ll say this again – at Ultimate Paleo Guide, we believe in getting as many of your nutrients as possible from real food. But, sometimes, that’s not always possible. Whatever your reason is for consuming it, we consider protein powder to be Paleo-friendly – when the circumstance calls for it. But, again, NOT ALL PROTEIN POWDER IS CREATED EQUAL. There are many different types of protein powder on the market – whey, casein, hemp, pea, brown rice, egg white, soy…just to name a few. Of course, some of these are considered more “Paleo” than others. And, the protein powder you choose needs to fit best with your own body, health history, and food sensitivities. For simplicity’s sake, we are going to be talking about whey protein. This is what we get the most questions about, and it is the most commonly found powder on the market. Although whey isn’t technically considered strict Paleo, because it is derived from dairy, many people who follow the Paleo diet feel safe to consume a high-quality whey protein. <color block>We’ve actually written a whole guide on whey protein on the Paleo diet. Read more here. 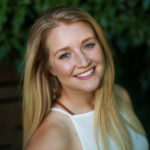 Sometimes people find that they don’t react negatively to a high-quality whey protein because most of the allergenic ingredients in milk that set off reactions are removed from the protein powder. This is definitely something you need to determine for yourself. High quality protein powder can be pricy. Be sure to do your research before buying. If at all possible, try to determine the source of the protein, how it is processed, and how it is manufactured. This may require you searching it out on the website or even shooting an email to the company. There are three types of whey protein: concentrate, isolate, and hydrolysate. Whey concentrate is the least processed of the three – but it also contains the most fat and lactose. Whey isolate is a bit richer in its protein content (about 90-94% protein) and contains less fat and lactose, but it also goes through a more rigorous processing treatment. Hydrolysate is basically pre-digested protein that is incredibly easy for our body to absorb. This makes it less allergenic, but the price can be outrageous. Whey protein, in any form, is already pretty easy for our body to absorb, so the cost for hydrolysate protein may be unnecessary. As an athlete myself, I have implemented protein powder in my dietary routine for a while. It feels like I have tried all the powders on the market. The first thing I always do when searching out a new powder is to scope out the ingredients list. 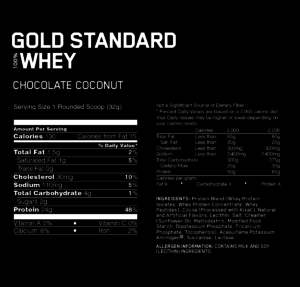 A lot of the protein powders on the market are filled with junk. Take a quick glance through your powder’s ingredient list. Many powders include artificial sweeteners or added sugars. Avoid these if possible. If you can’t do whey at all, you have some other, Paleo-friendly options. We would recommend searching out a hydrolyzed beef protein powder or an egg white protein powder. We recommend these over a plant based protein powder because the bioavailability of the protein is higher. 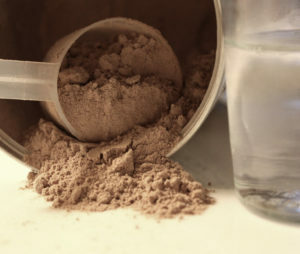 Protein powder shouldn’t be used as a meal replacement frequently. But, if you find yourself in a pinch or if you’re an athlete, it can be useful – beneficial even. Do you choose to include protein powder in your diet? If so, do you do whey or another type? Remember – the Paleo police don’t exist. 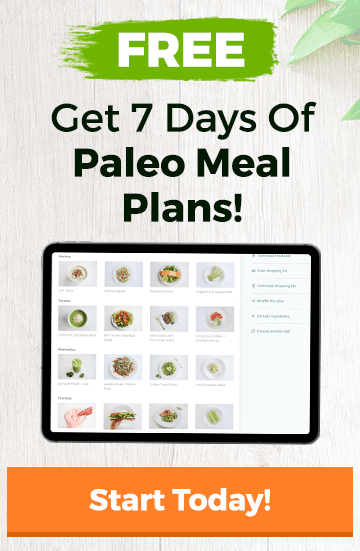 Make Paleo work for YOU and your lifestyle!